I am making quick and easy meals this week. Between traveling, launching campaigns at work, and our second child starting to walk, life has been a blur. Thank goodness for food whipped up in a blender! 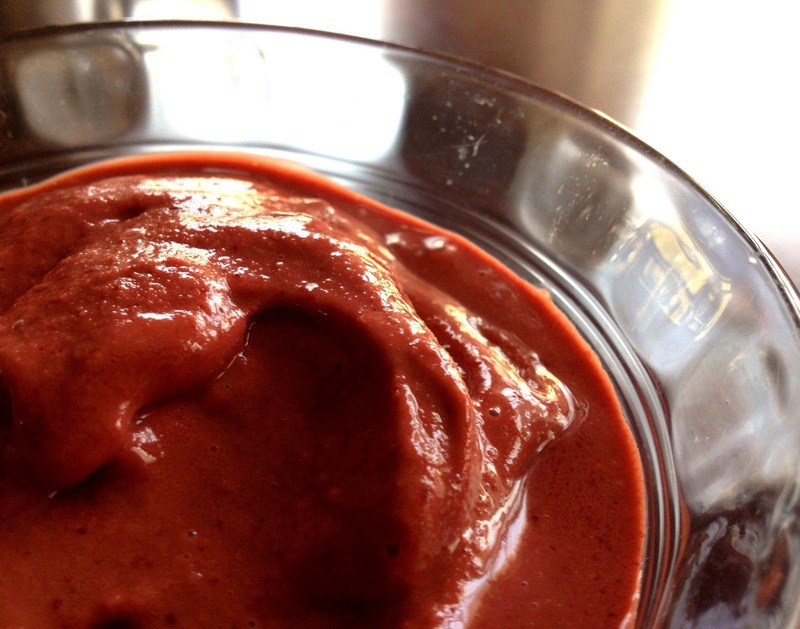 My son requested ice cream, we had none, and so we made this chocolate cherry ice cream in the blender. It took mere minutes, and produced a soft serve style of ice cream. The cocoa and cherry combination was so yummy, and made it feel like an indulgent treat. Really easy, and really delicious. In a blender, combine all ingredients. Blend until smooth. Serves two.